Goodby Mike, Hello Judge « Hercules and the umpire. I have written before about Myron (Mike) Bright, a judge, but not just any judge, on the United States Court of Appeals for the Eighth Circuit. At 95, he continues to hear cases. In 2009, Myron H. Bright reached a historic milestone by becoming the longest‐serving working judge on the Eighth Circuit Court of Appeals. During his remarkable 40 plus years of service, he has heard over 6,000 cases, employed over 100 law clerks, and worked with 35 of the 58 judges who have served on that Circuit’s Court of Appeals. I am very pleased to say that Judge Bright has now written a book about his life and his experiences. As chairman of the board of the Historical Society of the United States Courts in the Eighth Circuit, and a great admirer of Judge Bright, whom I have had the privilege of knowing for over 40 years, I read with interest Myron H. Bright, Goodbye Mike, Hello Judge, My Journey for Justice, Institute for Regional Studies Press, North Dakota State University (2014). I loved this gently written book. In addition to telling us about a remarkable life, the book is an extremely important account of the political world of the upper mid-west during the last half of the 20th century. Historians will be citing this book quite a lot. For example, Judge and Mrs. Bright’s meeting, on the occasion of his confirmation, with President Johnson is both funny and insightful. Who knew that you could get into the White House by showing an Elks Club card? The conversation between Bright and the President about Bright needing to remember that Johnson nominated him is just one more fascinating tidbit. The book is also valuable for those who study legal history. For example, the story of how Bright and my old mentor, Judge Don Ross, concocted the burden shifting framework to avoid an en banc review in a Title VII case is fascinating. Moreover, Bright’s dedication of the chapter discussing Green v. McDonnell Douglas* to Judge Ross is an act of kindness and respect that also sheds light on how judicial “politics” on the federal courts of appeal played out between judges of varying ideologies during a far gentler time. There are not many things that bring tears to my eyes, but this note did. I suppose that is because I am old and ever more sentimental. That admitted, this remarkable book about a legal giant should be devoured with great pleasure by historians and lawyers alike. * For the Supreme Court opinion, see here. Can someone arrange an interview between Judge Bright and Judge Pregerson? Between the two of them, there has to be more accumulated knowledge about the workings of the Federal Courts than ever was contained at 1 First St. NE. Plus old farts have the funniest jokes. 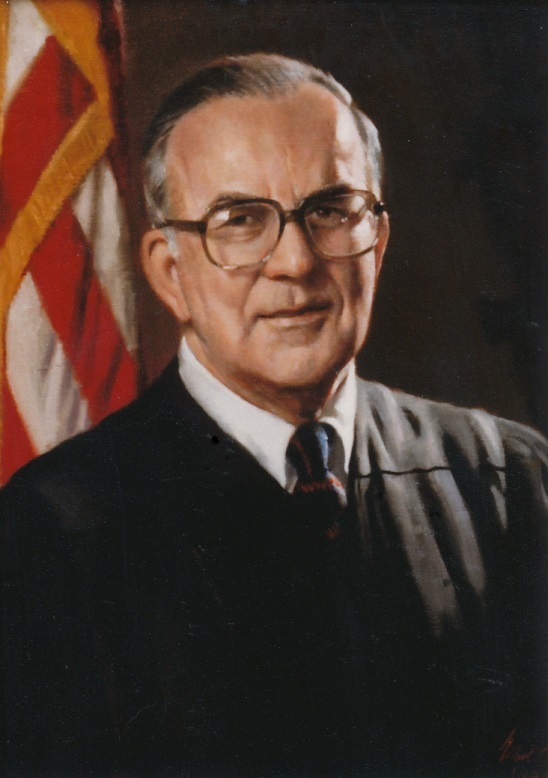 I can’t help but think of Judge Richard Robinson, with whom I had the pleasure of clerking in the early 1990s. I see images of him and his feisty secretary, Gen Cronk, not to mention a somewhat surly youngish magistrate judge somewhere down the hall in the old federal courthouse offices. Thanks for the post. Thanks, an inspiration to us young ‘codgers’..ha! somehow I got to the mid 70s… but definitely will read the book. Again thanks for calling this to our attention, and as you say, all the best to you on your courageous journey into the rich years. Pun intended. Doug, same thoughts! I clerked for him in the early 1970s. As Missouri attorney I share your respect for Judge Bright. I love history as well as the law so sounds like a book worth reading. My only comment would be that you may wish to be more careful in your word choice. No doubt in simpler times stating that he “had over 100 law clerks” was harmless enough. Having lived through Clinton’s sexual liaisons which seem to have ushered in an epidemic (on both sides of the aisle) of poor judgment culminating with yesterday’s disclosure that the Missouri Speaker of the House was involved with an intern I could not help but read “had over 100 law clerks” as some sort of Wilt Chamberlainesque bravado. Rob, you devil! I will probably rewrite that. Thanks. In my work I apply, on almost a daily basis, the burden-shifting framework from the McDonnell Douglas case. What a pleasure to come across a blog entry about one of the judges who authored it. Thanks. To be honest, I think the burden shifting framework is a bit strange, but that hardly counts. Judge Bright, with help of Judge Ross, thought it through and either one is (or was in the case of Ross) much smarter than yours truly. His memoir could only be an improvement on Justice Thomas’s.